The development of the economy, rapid urbanization, growing market size due to increasing income and consumption of consumers along with modern lifestyle will basically change consumer habits and generally affect domestic trade in the near future. 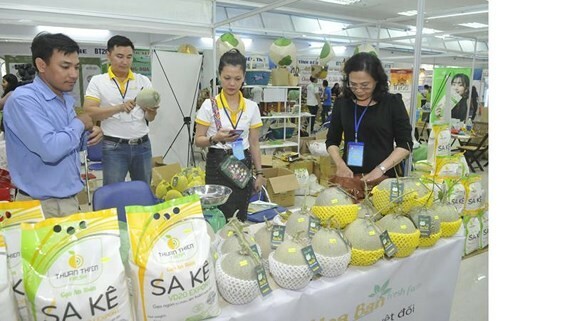 According to the draft domestic trade development strategy to 2025 and a vision to 2035 by the Ministry of Industry and Trade, Vietnam’s population was estimated to reach 91.7 million people in 2015, of which urban population accounted for 33 percent. Average population growth rate is expected to be at 1 percent per annum in the next years. Therefore, the country’s population will reach 98 million people by 2020, 105 million people by 2030 and about 108 million people by 2035. The urban population ratio is forecasted to account for 36 percent by 2020, 39 percent by 2025, nearly 42 percent by 2030 and 44 percent by 2035. Noticeably, the population will tend to age with the 65-and-over population increasing from 6.7 percent in 2015 to 14.4 percent in 2035. An ageing population and increasing urban population will change the structure of goods, consumption methods and consumption level in the future. As for income and purchasing power, the income of people has increased significantly in the past 10 years and is expected to be higher in the future thanks to open trade and foreign investment attraction policies. Average income per capita will be at US$4,900- $5,200 by 2030, leading to an increase in purchasing power and changes in methods and structure of consumption of people. As for consumption trend, the draft said that spending on food and foodstuffs will reduce drastically whereas spending on housing, education, entertainment, tourism and restaurants will go up. Consumer taste of middle-income-and-above population will affect domestic trade. This tendency is occurring and will continue to happen in the future when income and life of people is improving. As for goods, consumers will have stricter requirements on quality and food safety and tend to favor natural goods. They will feel a need for goods diversifying and have an interest in health care products. 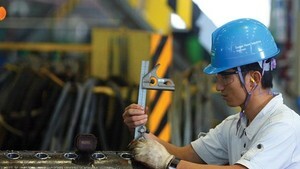 Accordingly, consumers will pay more attention to appearance, design, brand and after-sales service. Therefore, firms should focus on building brands, advertising to gain consumer trust and enhancing their prestige with consumers. As for methods of shopping, according to the ministry, shopping via modern channels will be more and more popular. Along with the development of information technology, online-shopping via the Internet, TV and smartphones will strongly develop in Vietnam. At rural and mountainous regions, ways of shopping will also gradually shift to modern shopping. Shopping at traditional markets will little by little decrease. The forecast of the ministry also said that newly-signed free trade agreements have expanded to other non-commercial sectors, such as investment, environment, intellectual property and labor, creating pressures on institution reformation and domestic business environment improvement. In order to make the most out of these agreements as well as tackle disadvantages caused by these agreements, it requires thorough changes and reformation in domestic production and trade. Among four channels of distribution services, retail remains the most developing channel. Wholesale service is expected to step by step grow in accordance with domestic production scale as well as the opening of commodity market and the participation of foreign direct investment enterprises in wholesale sector. Investment via merger and acquisition in distribution and retail sectors will become more popular in the future. Impact level of international market to domestic commerce will be faster and stronger, prompting changes in state management, especially in forecasting and providing market information to firms and consumers. The trend of protectionism and nationalism has gradually increased in various economies, of which there are major trade partners of Vietnam. This is obliviously showed through increasing and more sophisticated non-tariff barriers, including sanitary and phytosanitary measures, technical barriers to trade and trade protection, while tariff barriers are gradually being lifted. The ministry warned that making use of signed free trade agreements should closely attach to upgrading standards of domestically-made products as well as building an effective domestic trade protection barrier. Firms should improve their competitiveness and enhance their facilities to immediately adapt to market propensity which is changing strongly. Only by that, domestic firms in general and trading firms in individual are able to thrive healthily and sustainably in more and more cutthroat business environment.